AMPVL, short for Ampere vehicles private limited was established in 2008 and has successfully managed to stay in the electric vehicles market for so long. The company has a more versatile portfolio, their product range includes Electric cycles, Electric three-wheelers, Electric scooters and even Customized electric Vehicles. The company claims that all of their products don’t require a driving license to operate and that they are user-friendly with simple yet revolutionary features. Their Electric cycle, for example, is a product in which the user can easily choose to either use pedals or use the electric battery while riding. Their scooter range consists of AMPERE-V48 which is India’s first pluggable battery based electric scooter. It is ultra-lightweight and highly maneuvrable and is available in four colours. Another more popular electric scooter in the company’s stable is AMPERE-V60 which has been in production since 2010 which can easily carry two big adults even on hilly areas. Ampere Scooter Company offers a variety of electric scooters within their catalogue. They also claim to provide much government aided benefits to their users as well, for example, their electric vehicles require no registration or driving license and no road tax either, to operate them on public roads. In the electric cycle department, the company features Ampere-Angel. An electric cycle powered by a 36V battery and can be easily be used by adults and children alike. The Cycle also includes pedals so you won’t get stranded, once the electric battery runs out. You can seamlessly between the two. The cycle can accommodate 2 people at a time and has a range of 45 km. Once depleted, the battery will take 6-8 hours to get fully charged. Drum brakes are present at both ends to take care of braking and the whole setup weighs just 45 kg. The company claims that the battery can propel the cycle up to the speed of 25 km/h. Price of the bike is Rs 24500 only. Ampere V60 is next on our list. 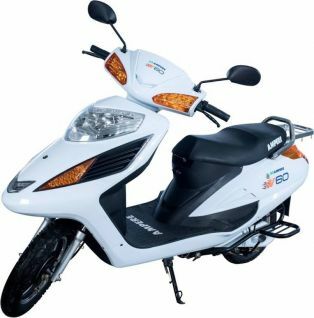 It is India’s first 60-volt model. It was launched in 2010 and since then it’s in continuous production. The company claims that their scooter has enough torque to make it usable in the hilly region. 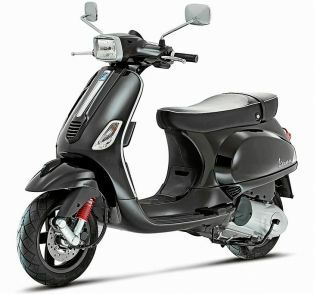 The scooter has an increases range of 60 km and takes 6-8 hours to get fully charged.